Peace Corps Online: 2008.11.25: November 25, 2008: Headlines: COS - Togo: Writing - Togo: Journalism: Politics: Election2008: Atlantic Monthly: George Packer writes: Will Obama Change? 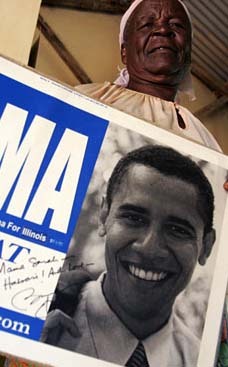 2008.11.25: November 25, 2008: Headlines: COS - Togo: Writing - Togo: Journalism: Politics: Election2008: Atlantic Monthly: George Packer writes: Will Obama Change? Peace Corps Online: Peace Corps News: Library: Peace Corps: President Obama: 2008.11.25: November 25, 2008: Headlines: COS - Togo: Writing - Togo: Journalism: Politics: Election2008: Atlantic Monthly: George Packer writes: Will Obama Change? George Packer writes: Will Obama Change? Mary Anne Berkery, a fellow Brooklynite, has a letter in the Times today expressing outrage at Obama’s Cabinet choices. 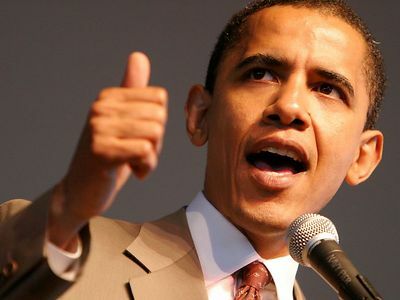 “The reason most Americans supported an unknown, untested, thinly experienced Barack Obama as president was that they were desperate for real change,” Ms. Berkery writes. Obama’s picks should reassure Mary Anne Berkery. They don’t mean that he’s going to govern from the center-right of the Party, pace David Sanger. I think they mean he’s going to govern seriously, without the parochialism of Jimmy Carter or the chaos of Bill Clinton or the self-delusion of George W. Bush. An “unknown, untested, thinly experienced” President who has as ambitious a domestic program as Barack Obama needs advisers who know how to get things done in Washington. That he is not afraid to recognize this shows his tremendous self-confidence. Obama’s advisers won’t be setting his policies, they will be executing his policies. And since 2009 will be a lot more like 1933 than like 1993, Timothy Geithner and Lawrence Summers and Rahm Emmanuel and the rest (some known for their lack of personal délicatesse but not for their ideological rigidity) will not be reliving their Clinton years. They will not be pursuing deregulation and deficit reduction. They are smart enough to know that history will judge how they do during the Obama years, which will call for thinking and acting anew. Journalist George Packer served as a Peace Corps Volunteer in Togo. Mary Anne Berkery, a fellow Brooklynite, has a letter in the Times today expressing outrage at Obama’s Cabinet choices. “The reason most Americans supported an unknown, untested, thinly experienced Barack Obama as president was that they were desperate for real change,” Ms. Berkery writes. His unequivocal mandate was to bring change. Instead, we watch as he appoints person after person from the Clinton political machine, creating a virtual third Clinton presidency—the very re-creation many of us had worked hard to prevent. Instead of taking the mantle of Franklin D. Roosevelt, he has taken the mantle of Bill Clinton. It is more than disappointing; it is dishonest. I know other people who share this idea and aren’t happy about it. But I think they, along with Mary Anne Berkery and David Sanger, are wrong. Start with the mantle of F.D.R. Who did Roosevelt place around him in his first Administration? The average age of his top eight Cabinet picks was sixty. They included two sitting senators, a governor, two Republicans, and the chairman of Woodrow Wilson’s 1916 reëlection campaign. The only Cabinet appointees who fit the description of “change agents” were Henry Wallace, age forty-four, a farm expert and newspaper publisher, at Agriculture, and Frances Perkins, age fifty, the New York State industrial commissioner and first-ever woman Cabinet member, at Labor. The others were chosen for reasons of political payback, regional and ideological balance, and experience. Even among his White House advisers, Roosevelt made sure that the Party’s various economic ideas were represented. And then he proceeded to change the country with the New Deal. Obama’s picks should reassure Mary Anne Berkery. They don’t mean that he’s going to govern from the center-right of the Party, pace David Sanger. I think they mean he’s going to govern seriously, without the parochialism of Jimmy Carter or the chaos of Bill Clinton or the self-delusion of George W. Bush. An “unknown, untested, thinly experienced” President who has as ambitious a domestic program as Barack Obama needs advisers who know how to get things done in Washington. That he is not afraid to recognize this shows his tremendous self-confidence. Obama’s advisers won’t be setting his policies, they will be executing his policies. And since 2009 will be a lot more like 1933 than like 1993, Timothy Geithner and Lawrence Summers and Rahm Emmanuel and the rest (some known for their lack of personal délicatesse but not for their ideological rigidity) will not be reliving their Clinton years. They will not be pursuing deregulation and deficit reduction. They are smart enough to know that history will judge how they do during the Obama years, which will call for thinking and acting anew. As for Hillary Clinton at State, I imagine she will be as hardworking, disciplined, and in command of her subject as she was in the Senate and during the campaign. My fear is not that she’ll be a bad team player for Obama, but that she will manage the department as badly as she managed her campaign. That’s a fear I can live with.